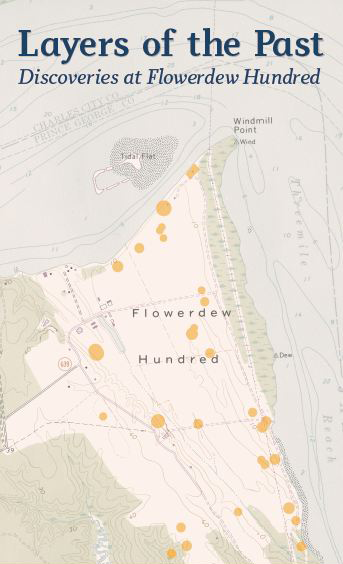 This website is the online version of "Layers of the Past: Discoveries at Flowerdew Hundred." The exhibition is on view from October 2012 through August 10, 2013, in the main gallery of the Mary and David Harrison Institute for American History, Literature, and Culture, and the Albert and Shirley Small Special Collections Library at the University of Virginia. For more information about visiting the exhibition and related programs and events, click "Learn More" on the navigation bar.